BPS Radon is a residential and commercial radon testing service. The company had a 15 year old website that would not show up on a mobile phone and his customers were complaining about it being difficult to get in touch with him on the go. The old website was stuck on a Yahoo! server sold to an overseas company that he could not get in touch with. 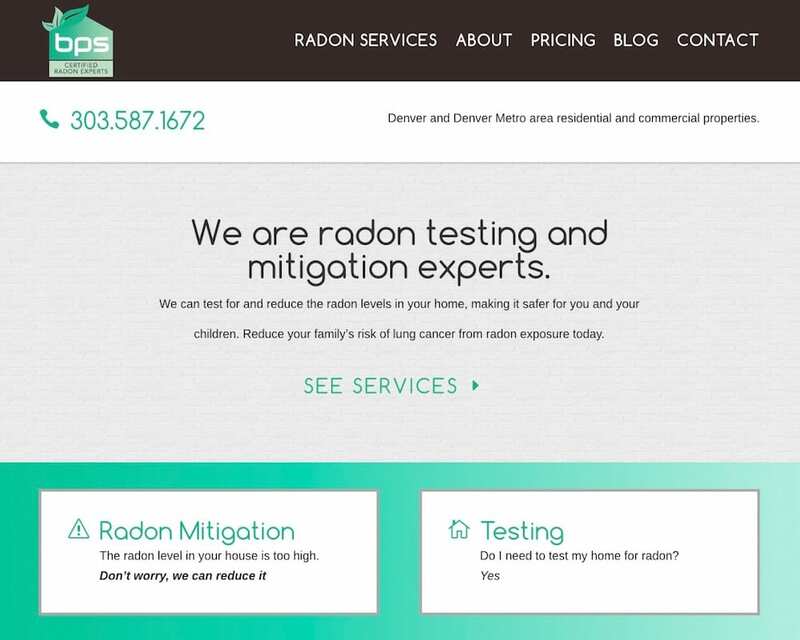 After working together with Lawton Digital, BPS Radon has a newly re-designed website with mobile click-to-call. The website is now maintained with our maintenance program locally where he knows he can always get in touch with us for website help. The company offers 2 different servers that customers look for at different points in a home-buy-ing process. The home page immediately helps the customer figure out where to go next based on what services they’re looking for. Customers can easily browse the website, call or email the company with one click on his new website. The website makes it very easy to convert with email, phone number, and a contact form. The contact form gets emailed directly to the business owner. It also gets logged in a database as a backup, just in case an email ever gets lost. Since we manage this website with our maintenance program, we also periodically test the forms to make 100% sure they are always getting their leads instantly. BPS Radon can log on anytime to see how many conversions (forms filled out or phone call clicks) have come through from his built-in analytics tracking. Information-focused content helps to increase this small business’s authority with any website visitor. The content is search engine optimized to help drive organic search traffic.